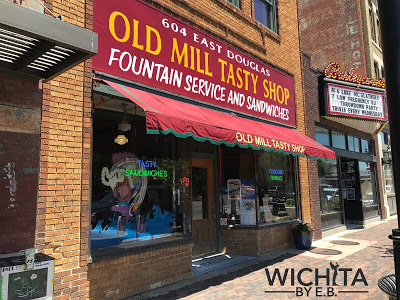 Old Mill Tasty Shop: A Wichita classic – Wichita By E.B. Every city has a handful of restaurants that have become part of its history. What makes it even better is when those restaurants can maintain their quality through all those decades. And for over eight decades, that is what Old Mill Tasty Shop has done. 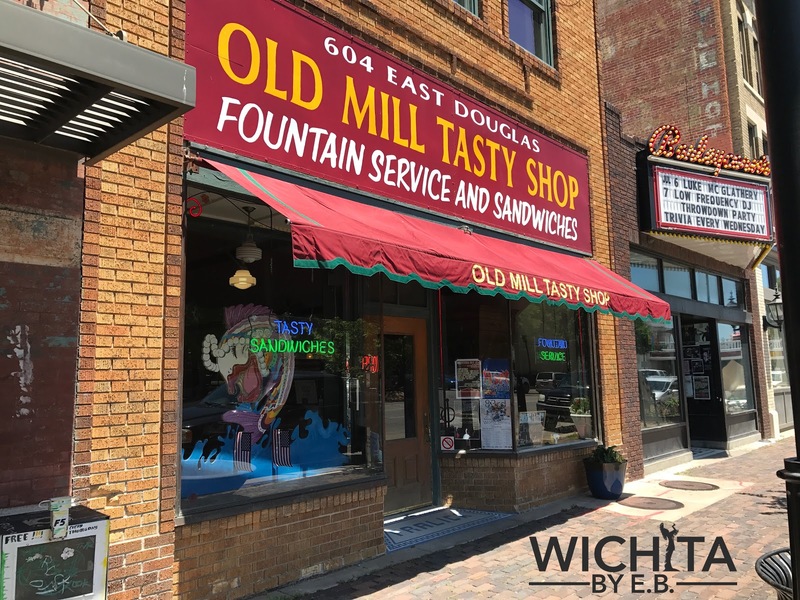 Old Mill Tasty Shop serves sandwiches, soups, Mexican dishes, soda fountain drinks, desserts and daily blueplate specials that vary everyday. While I’ve been there a few times, there were a couple co-workers of mine who have never been so we made it a point to schedule a lunch at Old Mill. Old Mill can get very busy during the lunch hour. We were fortunate there just happened to be an open table when we arrived. A couple of my co-workers didn’t know what to order so our server immediately stepped away and came back with some samples of their food. It caught everyone by surprise. She also mentioned the blueplate special of the day was a Monterey. 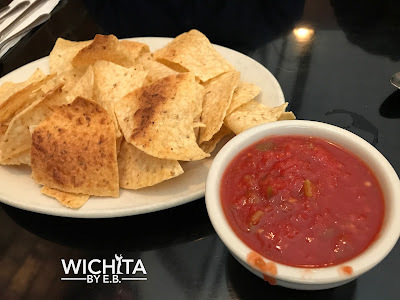 Everybody put in their orders and we started off the lunch with chips and salsa along with tomato bisque soup and the green chili soup. The soup was so delicious. 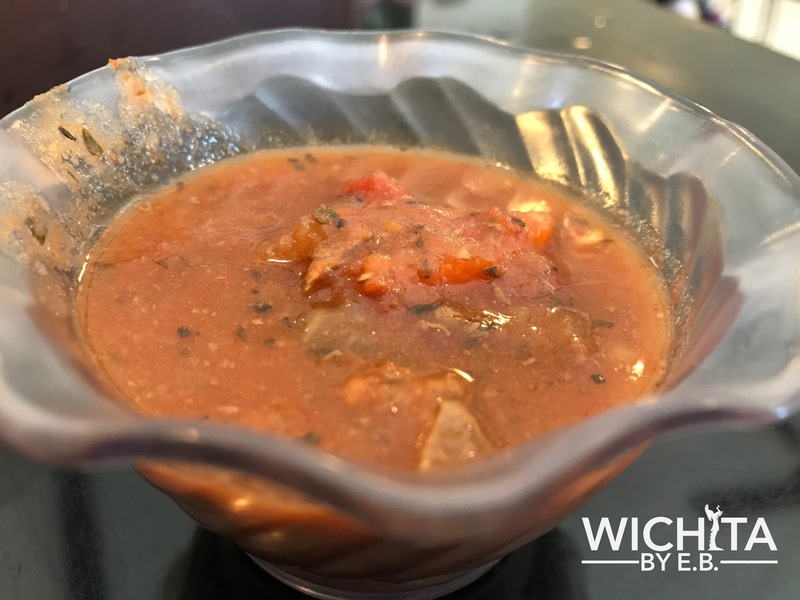 It was on par with some of the best soups we’ve had in Wichita. While my co-worker had the green chili soup on this visit; it’s the exact soup I had on a previous stop. 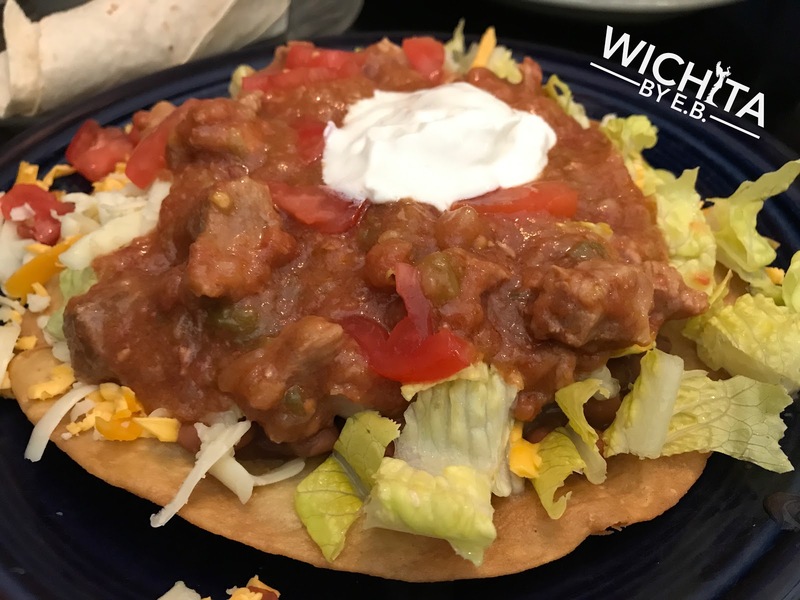 The flavor was incredible with fresh green chilies, ground beef and wonderful pepper jack cheese on top. My co-worker also felt it was very mild yet very good. It’s a soup I’ll probably have to order on every visit. That was just the start though because lunch was officially on the way. Two of my colleagues had the Monterey. It came on a nice crispy shell with homemade refried beans and freshly grated cheese. The homemade salsa that came with a great mild flavor, green chilies, onions and tomatoes. 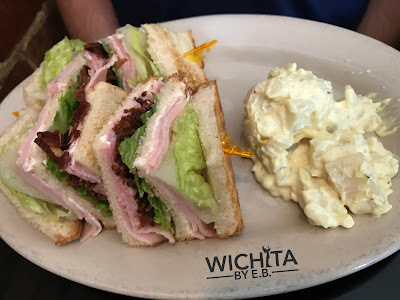 My other colleague had the club sandwich and to him, it was your classic sandwich that was done extremely well; generous portions that was sure to fill anyone up. 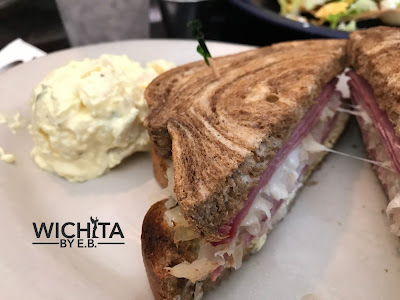 I rounded out the lunch with a reuben. The corned beef and sauerkraut was covered with a nicely toasted Marble rye. The rye had a crisp to it that was just perfect. Making it better was the right amount of corned beef stuffed inside between the two slices. 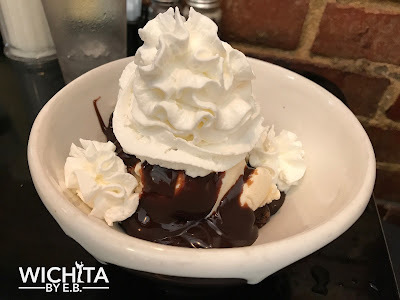 Nobody wanted the lunch to end so we all ordered dessert. Good Lord! The desserts were beyond amazing. Everyone boasted about how delicious it was. 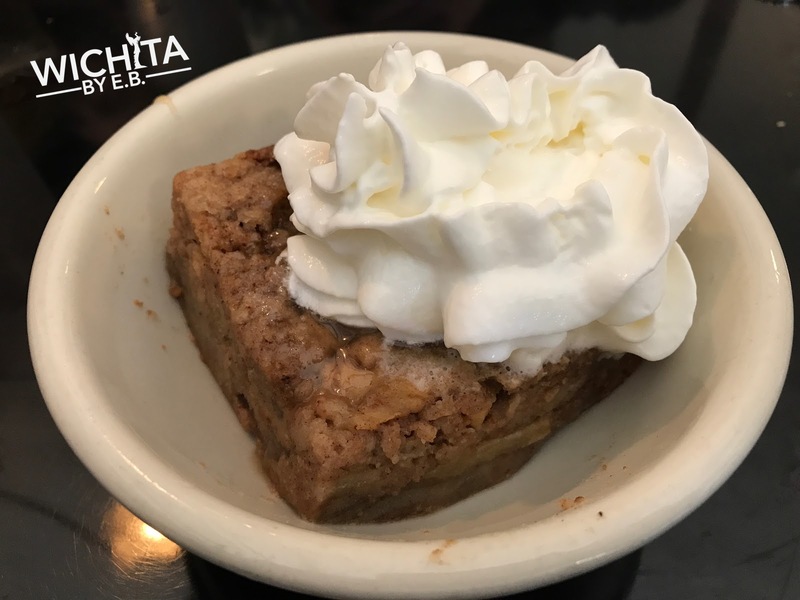 I had the apple bread pudding and to this day I’m still dreaming about it. 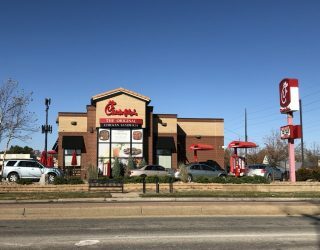 Before I continue on with this review, I have to include one additional meal that was had on a previous visit. 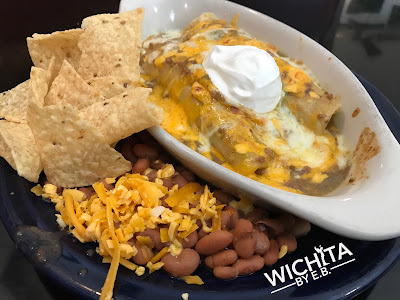 I had their green chili enchilada and it brought back memories of when I would go to the Cedar in college. 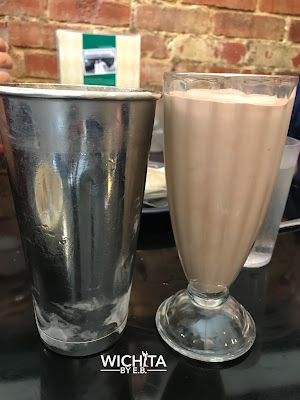 I couldn’t tell you how many meals I had at The Cedar but Old Mill Tasty Shop in one single meal was able to bring back all those fond memories I had in college. 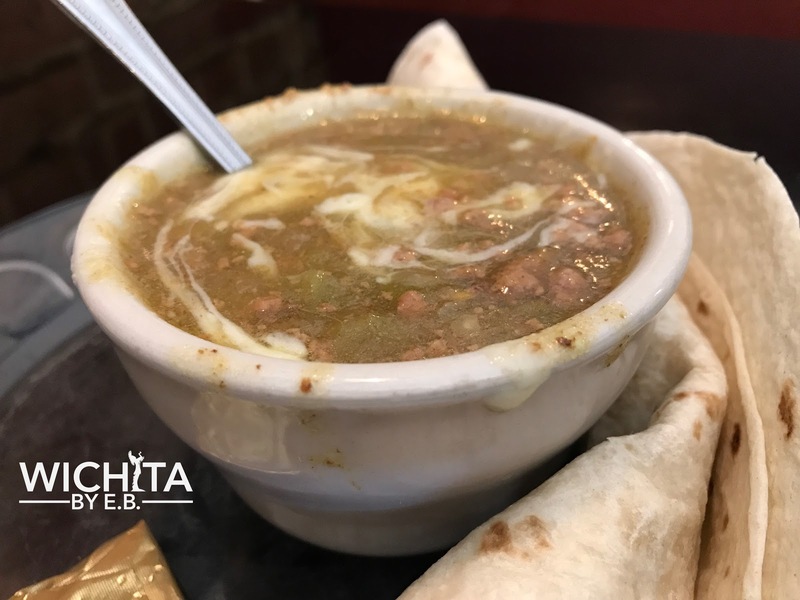 Old Mill’s green chili enchilada was hands down my favorite meal I’ve had in a long time. Everyone thought it was great food portions for the price; just wonderful home cooking. Personally, I want to try every one of their blueplate specials. They also have lasagna, meatloaf, and chicken fried chicken. It doesn’t end there either. The service was some of the best you’ll find in town. On the visit with my co-workers along with other visits, there was one server who worked all those lunches. Her name is Gail. She’s been working at Old Mill Tasty Shop for over 30 years and has become a staple of the restaurant. Her willingness to please every customer was noticeable. She treated every customer like someone she’s known forever. If you ever make it out to Old Mill Tasty Shop and Gail is your server, you’re in for a treat. While we didn’t notice any service issues with any other customers around with other servers, we just had to point out Gail by name because of how welcome she made us feel. There are certain restaurants that get hyped up so much that it fails to deliver; Old Mill Tasty Shop is not one of them. If you’ve never been, please change that. It’s a true Wichita classic.